A teenager you know is celebrating his/her birthday. You are excited for the person, but now you have to deal with a slight problem. What can you possibly put in your birthday message to wish them well? 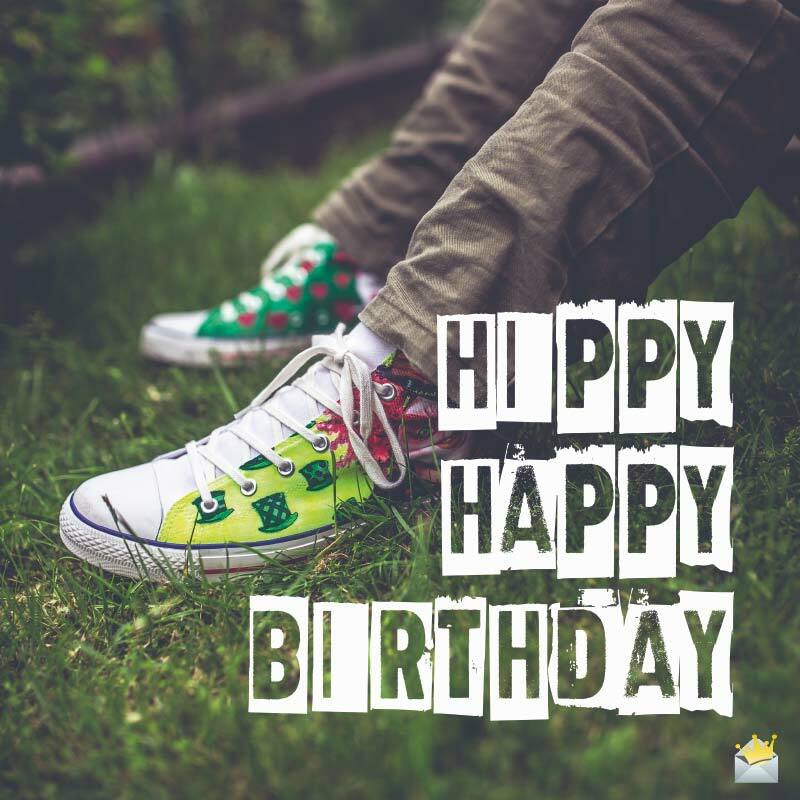 Luckily, we have a huge wealth of heartwarming birthday wishes for teenagers of all ages that would help you easily inject positive vibes into their celebration. Welcome to the world of teenagers. I hope this world brings you all the excitement and happiness that you long for. Happy 13th birthday! Today, nature officially makes you a teenager! What an incredibly remarkable day for you! Happy 13th birthday! Happy 13th birthday! On this remarkable day, you become a full-fledged teenager with a very beautiful and bright future ahead of you. Enjoy your teenage years to the absolute max! Congratulations on turning 13! It warms my heart so much to see you become a teenager today! Words can’t express how proud I am of you, my dear. Happy birthday! Wishing a super duper 13th birthday to an extraordinarily wonderful angel. By all accounts, today is a great day to be celebrated and enjoyed. May happiness always be available for you to get hold of. I love you. Turning 13 and becoming a teenager for the first time is one of the most magical moments of a person’s life. I’m so glad you get to enjoy this beautiful, life-changing experience. Happy 13th! Today, life has bestowed you with the honor of becoming a teenager. Have a fabulously beautiful 13th birthday celebration. The 14th year of a person’s life is widely considered as one of the most magical. May every day of your life as a 14 year old be truly magical. Happy 14th birthday celebration! You are only 14 once in your entire lifetime. Enjoy every moment of this absolutely beautiful phase of your existence. Happy birthday! There are no other words to describe you than magnificent. May your life be as fabulously wonderful as your 14th birthday! May God’s guidance, love and blessing be with you throughout life as you mark your 14th year of existence on this planet. Happy birthday! On your 14th birthday, may God pour out his blessings on you and keep you happy for as long as the sun shines. Happy birthday! At 14, the most exciting phase of your life has just begun. The world is yours to explore and enjoy. Don’t let anything hinder you from enjoying this precious life to the fullest. For 15 beautiful years, you’ve graced this world with your remarkable presence. May God bless you with many more of happiness and good health to continue beautifying this world and making it a better place. May all your 15th birthday wishes come true just the way you want them to. 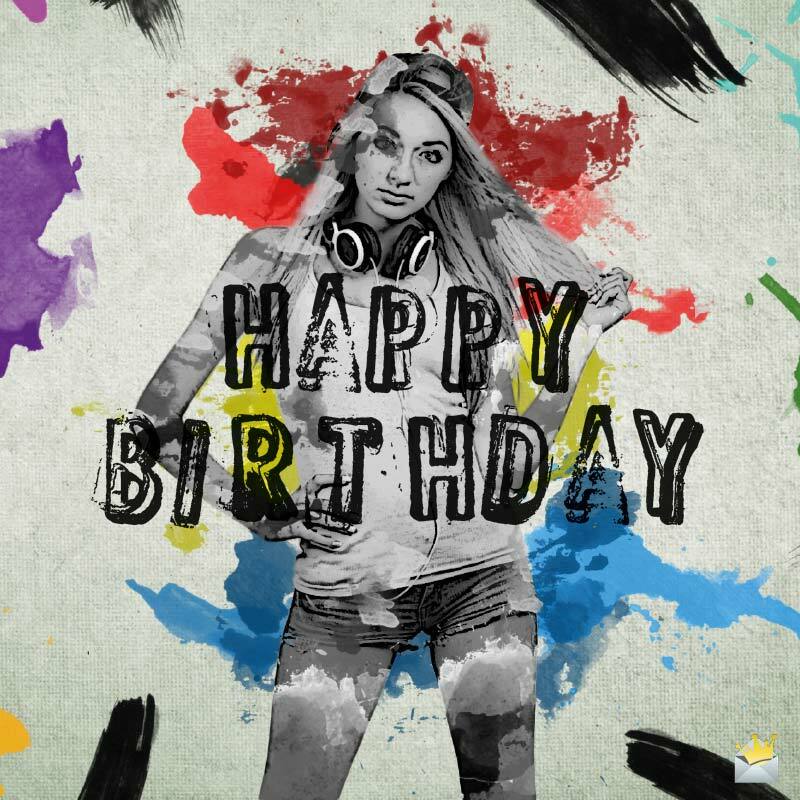 Have an absolutely joyful and colorful birthday! On your 15th birthday, I hope you have the happiest of birthdays! May your life be blessed with life’s finest and most gorgeous things. To my wonderful son/daughter who turns 15 today, I want you to know that I deem it the greatest privilege and honor to be your mother. Thank you for putting happiness in my heart for 15 beautiful years. I love you so much. Happy 15th birthday! 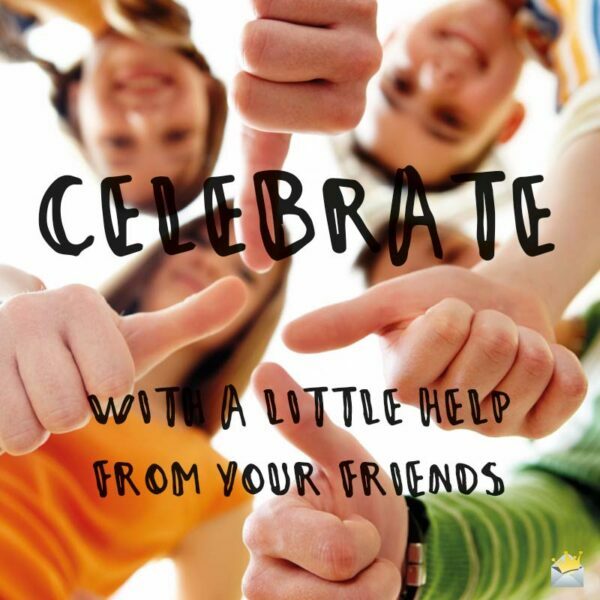 Celebrate with a little help from your friends. Happy 16th birthday! May age 16 treat you absolutely well and bring you all the sweet things that exist on planet Earth. On your 16th birthday, may you always have a personal bond with happiness and prosperity. Happy birthday! Happy 16th birthday to a wonderful girl whose natural grace is absolutely spectacular! I’m so blessed to have had the opportunity to know someone as special as you in this lifetime. Happy 16th birthday! May God bless you with abundant happiness and love all the days of your life. You look absolutely sensational on your 16th birthday! May your life never stop being a wonderful spectacle. Happy birthday! Wishing you a truly sweet 16th anniversary! May this be the sweetest age of your life so far. Happy 16th birthday! I don’t think there’s any 16-year-old in this world who is sweeter than you! You are only young once in your entire life. Do have yourself a fabulously magical 16th birthday celebration. On your 17th birthday, my dear, it’s my prayer that you never suffer a day in your life. Happy birthday! Happy 17th birthday to you, my absolutely gorgeous friend! You only get to enjoy turning 17 once in your life. Savor every single moment of this beautiful chapter of your life. Dearest, I would like to use this opportunity to issue a thank you to you for making my life the most beautiful in the world for the last 17 years. Happy 17th birthday. May all the love and happiness in this world be your companion as you celebrate your 17th birthday today! Happy 17th birthday, my dearest daughter/son! Thank you for making me smile for the past 17 years. I truly love and treasure you so much. Have the time of your life on this absolutely special day. I’m thrilled to be able to welcome you into adulthood. Happy 18th birthday! Happy 18th birthday! May happiness follow you all through your life as an adult. I am so proud of the remarkable young man/woman you have grown up to become. Words can’t thoroughly express how pleased I am to have you in my life. Happy 18th birthday! Today is the first day of the rest of your life as an adult. This is a truly special day for you. Happy 18th birthday! I’m sending you my best wishes and positive thoughts on your entry into the world of real adults. May your life as an adult glitter and shine like a gazillion diamonds in the pure blackness of space. Happy 18th birthday! May happiness live in you on this special day and forever. Happy 18th birthday! May today, the very first day of your life as a complete woman/man, bring you happiness and joy that know no limit. Happy 18th birthday! Happy 18th birthday, dear! No amount of water can quench the love I have for you. This is your final year as a teenager. I hope you enjoy this last lap to the fullest. Happy 19th birthday, my dear. Happy 19th birthday! May your special day bless you with a truly wonderful life. Wishing one of the most wonderful persons I know a very lovely 19th birthday celebration! My dear, it’s my hope that God will make your life shine forever! I hope your 19th birthday is as brilliantly wonderful as you are to me and everyone who loves you. Happy birthday! You have just turned amazing 19 today. This is the final year of your life as a teenager. I hope it is heavenly. Happy 19th birthday! May nothing derail your progress in life. Happy birthday 19th birthday. I’m tremendously blessed to have such a wonderful friend like you who gives me millions of awesome reasons to smile every day. On your Big Day, I thank you from the bowels of my heart and pray that blessings without end forever be your portion in life. Happy 19th birthday!